I have posted on this subject in another thread but thought I start a new one here to seek advice on whether there is a difference in the F.6 and FGA.9 inboard pylons. The new Airfix Hunter F.6 kit is a beautiful kit, well engineered and I would say what Hunter enthusiasts had been waiting for a long time. However, I noticed that the inboard pylons' shape doesn't seem to match what I see in photographs of F.6s, in particular on its height. 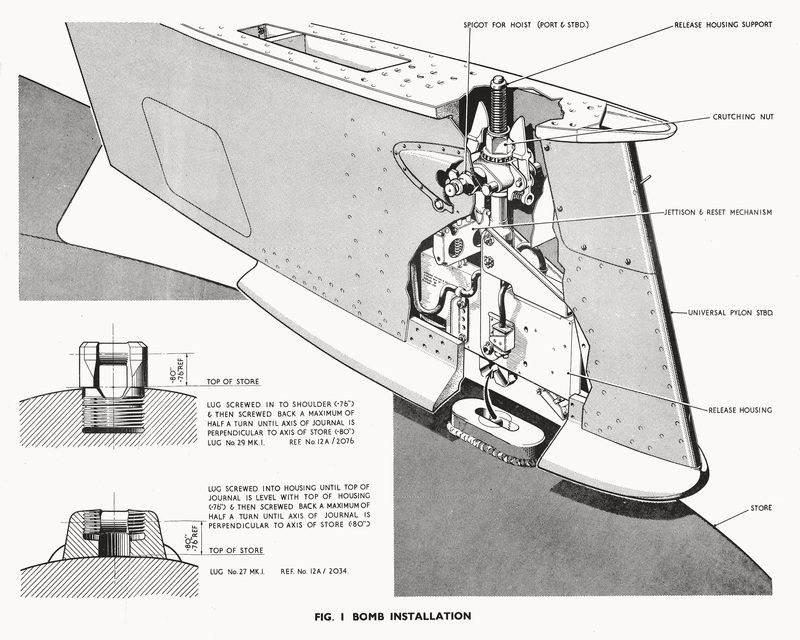 Initially I thought the F.6's pylon could be different from the FGA.9's as the latter was to carry the 230-gallon tank which also requires the bracing strut. However, all photos I had seen of the F.6s show that its pylon is no difference from that of the FGA.9s. Here's a photo of a Hunter F.6 from the excellent Belgium Wings website and that of a FGA.74B (which is the Singapore version of the FGA.9). The inboard pylon of both the F.6 and FGA.9 seem to be the same. In fact, from other photos of Hunter F.5s and F.6s, their inboard pylons seem to be of the same shape as that of the FGA.9. Thus the question is whether all variants of the Hunter used the same inboard pylon? If that is true, then the Airfix part is too short in height. I laid out the inboard pylon parts from the Airfix Hunter F.6, Academy Hunter F.6/FGA.9 and FlightPath Weapons Set and there is noticeable differences. I paid a visit to the Air Force Museum and took measurements of the inboard pylon of the Hunter there and this is what I got. The measurements converted to 1/48 scale showed that the Airfix inboard pylon is correct in length but not in height. Both the Academy and FlightPath pylons have the correct height but too short in length. Its just an interesting trivia to understand better on the Hunter. Also, from just the images you've provided, the pylon appears deeper at the front and shallower at the rear. Airfix pylon is the other way around (of course there may be other parts that go between pylon and tank in the kit, which I don't have yet). Hadn't really noticed before that the tank has a depression into which the pylon attaches as well... all useful little nuances to capture. some stuff from various Hunter AP's, not plans but they give a clue to shapes I think? Thanks John, the pylon drawings are from the Hunter F.6 AP? 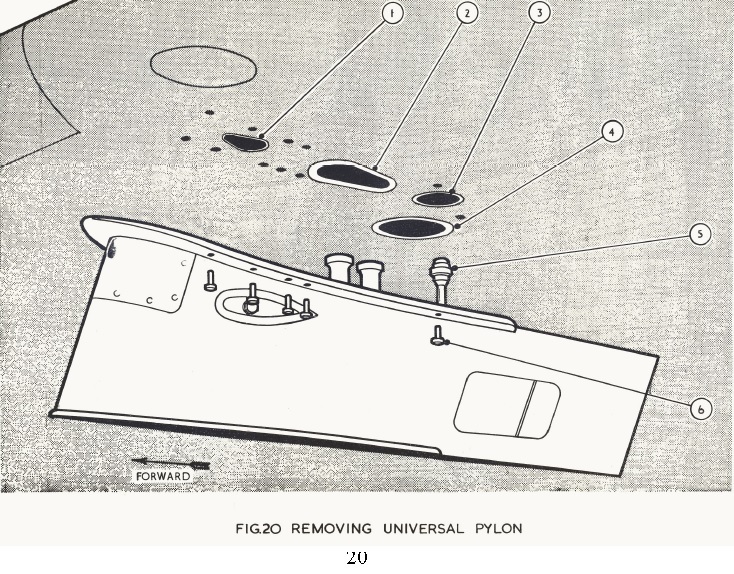 Would you be able to confirm that the inboard pylons shown in the APs of the Hunter F.6 and FGA.9 are the same? I extracted a photo from the walkaround of a GA.11 WV382 and placed the Airfix and Academy pylon with the 100-Gallon tank next to it for comparison. Interests:RAF monoplane fighter / trainers. The pylon in figure 1 above has an Electro Magnetic Release Unit (EMRU) fitted, the hook system I can recognise as a No1 Mk1 EMRU fitted in the release housing. The photographs (except the Belgian F6) all show a Explosive release warning triangle painted on the pylon which means that these pylons were fitted with a cartridge fired Ejector Release Unit (ERU) so there were two different types of inner pylon fitted at various times. (I assume they looked the same shape externally ). I know there were alternative release units fitted to Hunters on the outboard pylons as when ERU's were fitted to them the release unit was too tall and a blister fairing was fitted to cover it on the top of the wing. this fairing was not used with a EMRU as it was not required. F6 with EMRU's fitted , FGA9 with ERU's maybe? Or was the ERU introduced to get the Bigger drop tank off cleanly? Going through books and photographs, I stand to be corrected, but am kind of convinced that the various Hunter variants used the same inboard pylon. Perhaps as mentioned by Selwyn, the differences are internal on whether its equipped with EMRU or the ERU. For outboard pylons with ERU, an aerodynamic fairing is installed above the wing to cover the protrusion. I enlarged a side profile from SAM Publication MDF 16 book on the Hunter to 1/48 scale and placed the Airfix and Academy part over the inboard pylon. And here's a comparison of the inboard and outboard pylons from the 1/48 Airfix Hunter F.6 and 1/48 Academy Hunter F.6/FGA.9 kits. From my measurements of the aircraft in the museum here, overall, it looks like the Airfix pylons are correct in length but underscale in height. But what all the pylons missed out is the distinctive shape at the bottom of the pylon which flares out to increase the surface area of contact with the store. Perhaps Airfix can consider correcting the pylon height by adding an extension to its pylon parts to include the "flared" profile? The "Flared" part is actually the store swaybracing. As you can see this pylon does not feature any weapon crutches. 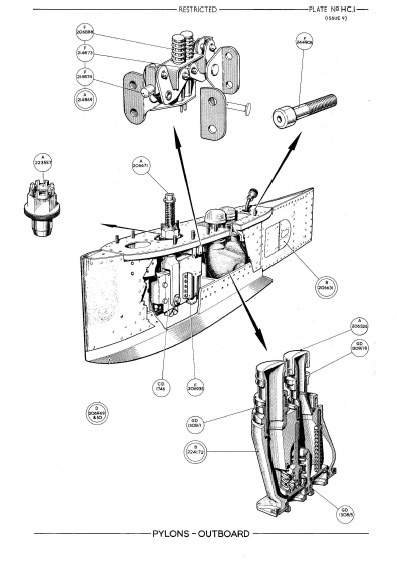 When loading the single lug was locked on to the pylon hook and the "Crutching nut" (see the images above) was wound (from the top of the wing?) which pulled the store up onto the base of the pylon. A similar arrangement was used on the Sea Vixen I did my weapon loading training on, "back in the mists of time!" On your pic of the 100 gl. variety, it looks as if the sway brace shoe is, somewhat reluctantly, moulded to the top of the tank, causing the step on the pylon‘s lower edge. Yes, Airfix has incorrectly moulded the swaybrace shoe on the 100-gallon tank resulting in it having a platform that fit into the pylon cut-out. I wonder how it will be like for the 230-gallon tank for the future FGA.9. I do hope Airfix could correct the height and shape of the pylons as the Hunter F.6 kit is a fabulous kit, and looking forward to the announced F.4 and hoping for a FGA.9/FR.10. I thought I should try my hand on fabricating a more accurate inboard pylon. As a reference, I placed a side view of an F.6 with the Airfix LIDAR scan. Using the excellent line drawings from the book, MDF16 from SAM Publications, I used the FlightPath metal pylon as a donor, sandwiched it with plastic cards cut to the correct 1/48 size. The result is as below. A crude effort, which I hope will be improved with some final touch-up and scribing of panel lines. And here's the comparison with the Airfix kit part. Perhaps a bit overboard on this interest, but the Hunter was what got me interested in aviation and to me its pylons and stores add to its characteristic beauty. A nice mod of the Flightpath inner there YK GOH but given hat the set it comes in is now going on for £40 in the UK, I think the field is wide open for an enterprising aftermarket wizard (OK Ali, off you go then !). The other alternative is to scratch-build it from a 2mm thick plastic card. The outline can be easily traced off a scale drawing. Guess not everyone will be bothered to take the trouble and just use the kit parts, but I do hope Airfix can correct it in their F.4 and future releases. Sincere apologies, it was pointed out to me that I labelled one of the photos in the earlier posting wrongly. I hope it did not caused any confusion earlier. Again the 1/48-scale plan was enlarged from the 1/72-scale drawings from MDF 16 book. Yes work in progress along with a few other potentially useful parts, at the moment there are possibly 2 sets being developed. Hope to be able to share more information on them in about a week. These two sets will be able to be used on either single seat Hunters and on the 2 seat Hunter that I have under development......The 2 seater is taking a little longer but I promise it is coming together I hope to have some pictures available and it on show at the show in Perth (Scotland) on the 27/28 th April. As for exact release date and price those are still to be determined. This thread really only talks about the inner pylons but I think the outers are also too shallow so probably a set of all four would go down really well. Thanks in advance! . Sorry to be so late to this one, but thanks for the tag! I can't really add much to the excellent info posted already. Airfix have a made a dog's breakfast of these pylons for sure. I'm struggling to remember what I used as references when I did my SAM drawings now but I think I got someone to take measurements off a set of pylons that had been taken off an aircraft. Having said that, we have the perfect reference in YK GOH's measurements above. It does prove that Airfix' pylons are pretty hopeless. Not only is the depth dimensions all wrong but, as has been said, the sole plates are missing (or moulded as part of the tank) and top plates (which is how the pylons are secured to the wings) are also missing. I can confirm that, as Selwyn suspected, pylons with ERUs are externally the same as those fitted with EMRUs. Excellent diagrams have been posted already but I thought I might add these which show a direct comparison between the EMRU and ERU equipped inboard pylon. Firstly, inboard pylon with Electro-Mechanical Release Unit (EMRU). Note, 1 is the crutching tool used to tighten the store up to the bottom of the sole plate (8) as mentioned by Selwyn. A 100 gallon tank is hown here. Next is the same pylon but the version fitted with an Ejector Release Unit (ERU). Note in this case the crutching tool (1) operates via a gearing mechanism as the breech of the ERU (2) is now where the crutching nut used to be. A 230 gallon tank is shown in this case. For info, because a lot of people ask what the bulge on the top of the wing on some Hunters is for, this is an outboard pylon fitted with an ERU. You can see how far the ERU breech sticks up above the top surface of the wing and why it needs the bulged fairing to cover it. I must confess I'm a bit confused by this AIrfix Hunter. On one hand they've done a wonderful job of getting the overall shape spot on with their LIDAR work, but on the other hand it seems they lost interest with certain details thereafter! The missing blast deflectors (how could you ignore those on an F.6?! 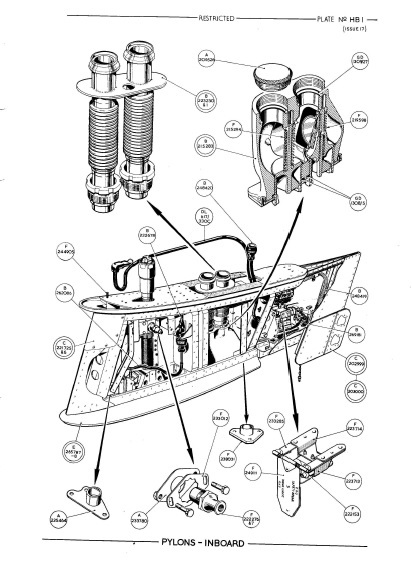 ), these pylons, the detail-free nose wheel, undercarriage doors, flaps etc., the single operating rod on the rear nosewheel door, the featureless ailerons with trim tab and panel lines missing. It just seems a bit odd. Nevertheless, it gives us a superb base to work from (a world away from the old Academy job) and it gives the after-market chaps something to get their teeth into! Thanks very much Mark, in confirming that the pylons (whether with EMRU or ERU) are standard for the various Hunter variants. Thanks also for the great scale drawings in MDF 16. They are an invaluable source of reference. Go for it, Ali! I'll be up for several sets - I have a couple of Academy Hunters to finish as well as the three Airfix ones in the stash. These two sets will be able to be used on either single seat Hunters and on the 2 seat Hunter that I have under development......The 2 seater is taking a little longer but I promise it is coming together I hope to have some pictures available and it on show at the show in Perth (Scotland) on the 27/28 th April.﻿ As for exact release date and price those are still to be determined. 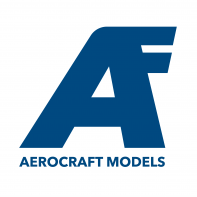 Am new to Britmodeller and great to know about your projects. Digressing from this thread a bit, on the 2-seat Hunter, I hope you will be including the option for the export 2-gunned big-bore version. ...and looking forward to your correction sets! With regards to the 2-seaters I’m not sure what the set will include, but I suggest NOT to include the small bore exhaust (as did the Aeroclub and Heritage sets). Purely on cost saving basis... I say this because Airfix is gonna include that in their F4 soon anyway and this is the airframe the T7 was based on. Looking forward to your Hunter improvement/correction sets!!! Just remember, Check 1 then Check 2 and stay in that green band!